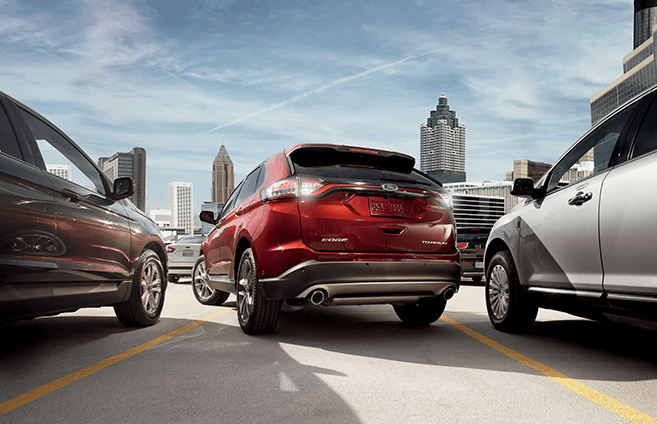 The Ford Edge: No Compromises. We often trade the things we want for the things we need. You need a family SUV with great fuel economy and class-leading safety features, but you want a little flair and an athletic ride. 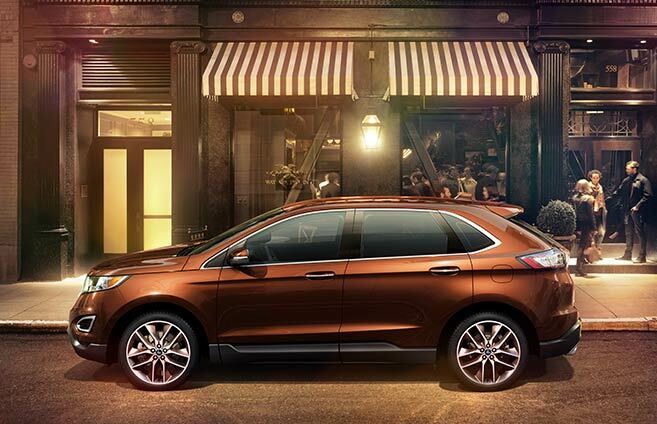 That’s where the Ford Edge flexibility comes in: you can get essential performance features without losing the stylish, comfortable ride you really want. The Edge Sport is packing a 2.7L EcoBoost with 315 horsepower. You’ll never feel like you need a little more from the engine when you’re passing on the highway. 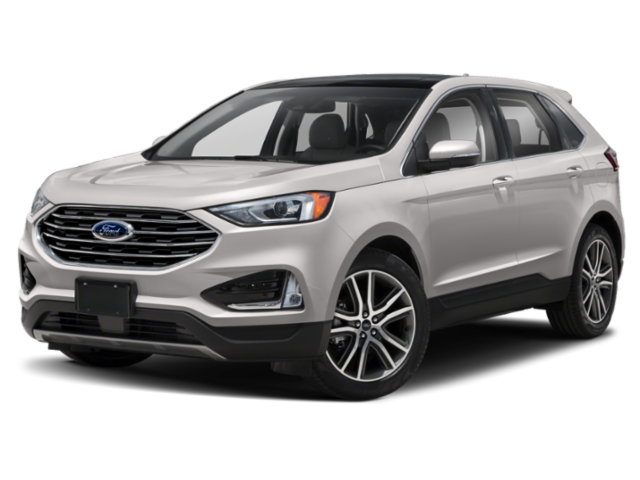 If you really want to have fun with your new Ford Edge, you can upgrade to the 3.5L V6 engine and unleash its 280 horsepower on the open road. The Edge comes with features that provide you with a driving experience you won’t find in any other crossover. 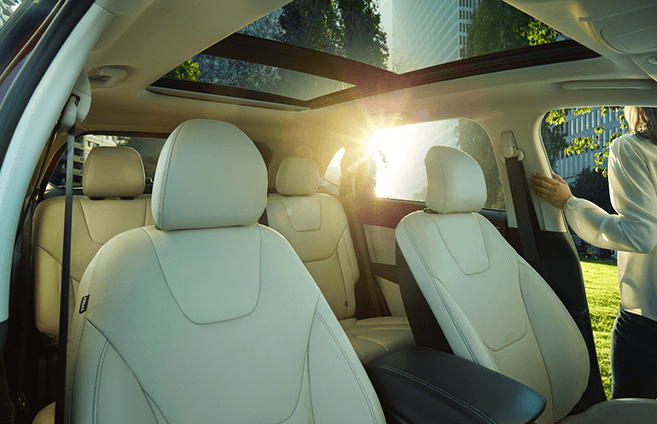 The available Panoramic Vista Roof® gives you the kind of view you can usually only find in elite luxury vehicles. Available Active Grill Shutters open and close alternately to decrease air resistance and improve your fuel economy. 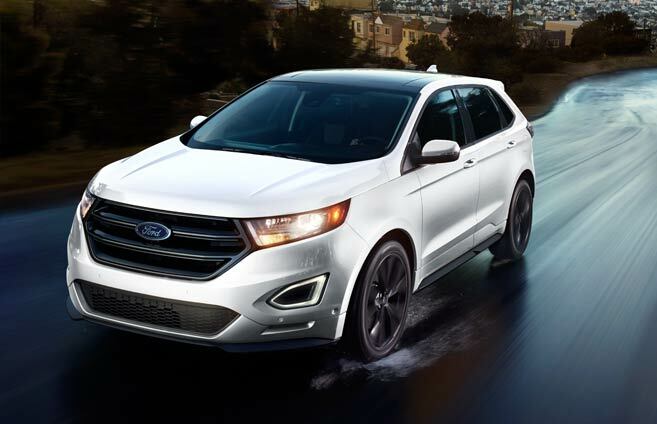 Most importantly, the 2017 Ford Edge has the most advanced safety features to protect you from the unexpected. 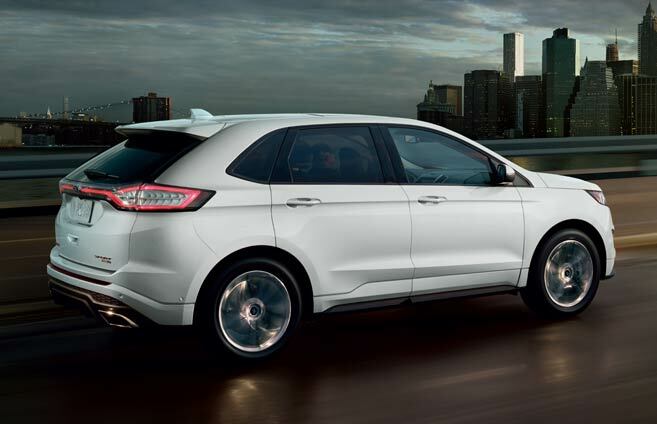 The Ford Lane-Keeping System and BLIS® (Blind Spot Information System) with cross-traffic alert analyze unexpected road hazards in real time. This safety net of innovation gives you the peace of mind that allows you to focus on reaching your destination while enjoying the journey. Upgrade to the all-new available SYNC 3. Enjoy all of the standard SYNC features plus smart hardware, smart software and an easy-to-use design. 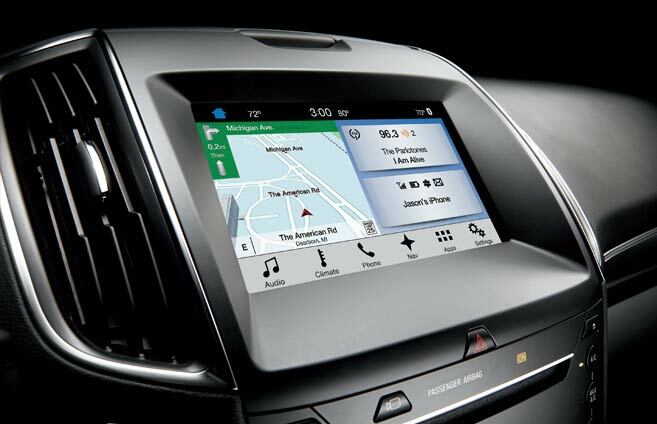 SYNC 3 offers high-speed performance, enhanced voice recognition, a capacitive touchscreen with swipe capability, available navigation with easy destination entry and pinch-to-zoom functionality, Siri seamless integration and automatic updates over Wi-Fi.